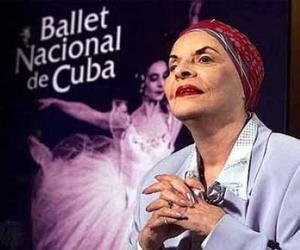 Prima ballerina assoluta Alicia Alonso, director of the Cuban National Ballet, said that, despite the sorrow they feel for the passing of Commander in Chief Fidel Castro, the company is working on the traditional January 1st Gala to celebrate the Triumph of the Cuban Revolution. The performance will take place at the Garcia Lorca hall, in the Alicia Alonso Grand Theater, and includes the production of the Nutcracker, a classic the BNC hasn’t done in many years, Alonso said. Days after the death of the Cuban leader, the BNC issued a communiqué where it highlighted his legacy and impact on Cuban culture, ¨For that and for always, we say Thank you, Fidel¨ Alicia wrote in the condolences book. According to Granma newspaper the prima ballerina had spoken many times on the close relation of Fidel with ballet.